We are just hours away from one of the most critical elections in Wisconsin's history – tomorrow, Tuesday, November 4th. 1. You do not need to bring an ID of any kind to the polls if you are currently registered to vote at that polling place! The United States Supreme Court blocked implementation of Wisconsin's misguided, extreme and restrictive voter photo ID law on October 9th for this election. So do not let anyone tell you otherwise. Go vote! 2. Make sure you know ahead of time where your polling place is. Perhaps the location has been moved since the last time you voted? Perhaps not. Go here to check and make sure! Again, NO PHOTO ID IS NEEDED TO VOTE ON NOVEMBER 4th (OR TO EARLY VOTE) if you are currently registered to vote. If you are not currently registered to vote, you can easily do so on Election Day at your polling place. You will need to bring: a document – either hard copy or electronic (on your cellphone/tablet/laptop) – that proves you live within your voting district (e.g., a recent utility bill, bank statement, pay stub) and either the number and expiration date of your Wisconsin driver's license or Wisconsin DOT-issued ID card or the last four digits of your social security number (only if you don't have a WI license/ID card). Locate these materials now, so you are not searching around for them on Election Day! 4. 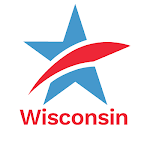 If you want to vote on November 4th and you need a free ride to your polling place, CC/WI has compiled a statewide listing of who you can contact to help you get to your polling place. Are you (or is someone you know) willing to give someone a ride to the polls? Please let us know and we will add your/their contact information to the list! 5. Common Cause in Wisconsin is once again partnering with the nonpartisan Election Protection coalition, led by the Lawyers’ Committee for Civil Rights Under Law, to provide "guidance, information and help to any American, regardless of who that voter is casting a ballot for." 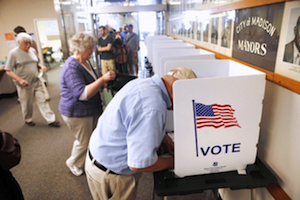 With the very recent U.S. Supreme Court's ruling blocking implementation of Wisconsin's voter photo ID law, we expect some confusion over whether or not voters will need to show an ID in order to vote. If you arrive at the polls and are asked to show photo ID, encounter other problems or have questions, call 1-866-OUR-VOTE. Election Protection’s highly-trained legal volunteers are available to assist voters with any questions or problems, no matter how simple or complex. Voters may call 1-866-OUR-VOTE (1-866-687-8683) toll-free with any questions or issues that may arise. This English language hotline is available now and will be staffed live from 9AM– 8PM CST on Election Day. Spanish-speaking voters may seek assistance through the 1-888-VE-Y-VOTA (1-888-839-8682) hotline. Please spread this information around to family and friends, and make sure you vote on Election Day! Vital Voter Information for Tuesday - Election Day, November 4thTweet this!